We were sorry to see our friend, Pete Williamson, head back to the states. He gave it all this past two weeks and our pastors here were very appreciative as were we missionaries. Our director asked Pete to pen some of his three experiences over the past year on paper. The result was this beauty below. I asked for permission to share with you his "zamflections" and he graciously agreed. 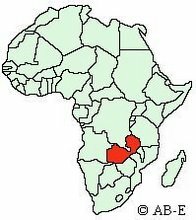 there to go to this unknown country as a missionary with ACTION Zambia. people and the culture, but also the food. I can't get this place and especially these people out of my head or heart. In fact, I would even go so far as to say I really need Zambia. apologize. I meant it to be stronger. number of pastors and even churches all the more precious. through to accomplish His purposes. You may just find me there. steve- this is so powerful. i have known that you guys were experiencing this is probably processing this ever since first arriving in Zambia. living in the states i know all this with my mind- how rich we are and yet we have so little b/c of our lack of need i guess. i was just in india and got to experience it firsthand. something i was really wanting. went to a church there and God spoke to me so clearly about some changes that mark and i need to make so we can REALLY follow Jesus well in a country like America where we do have so much. i think our hearts and walk with the lord suffers.... there is a guy named sean groves- he has a blog talking about living with less so they can give more. besides praying faithfully- giving of our american time and money is something we can invest in practically =). loved your thots and may link them to my blog if you don't mind. take care you guys and thanks for being so faithful!!! you have blessed mark and i tons!